A romantic town situated just above Italy's Amalfi Coast inspired the timeless beauty and traditional stye of the Tropitone's Ravello Padded Sling Collection. 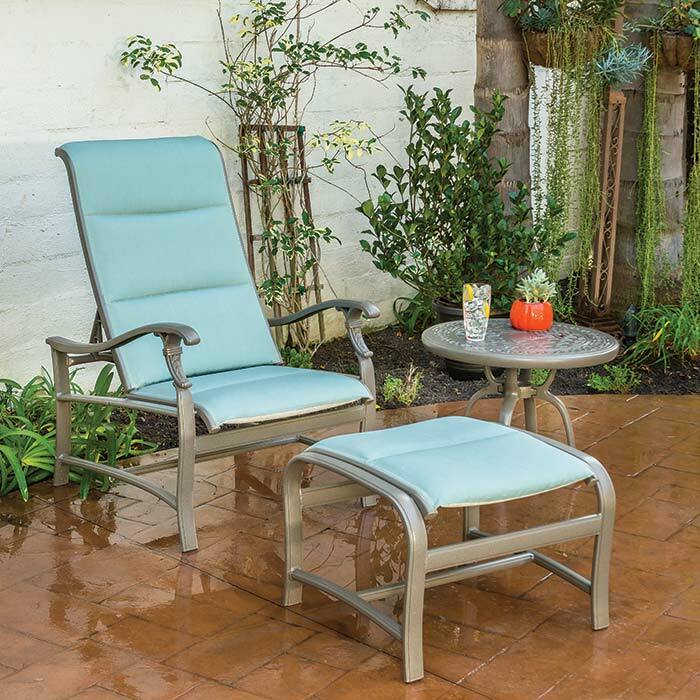 Ravello Padded Sling Collection, designed by Robert Mainville, features a generously proportioned aluminum frame and two layers of fabric with padding for extra comfort and durability. The result is a beautiful collection with classic, old world charm. With pieces such as swivel rockers and chaise lounges, the Ravello Padded Sling Collection expands outdoor seating and entertainment options beyond the typical patio chairs and pool loungers.